Our Los Angeles birth injury lawyer is familiar with cerebral palsy and believes it to be one of the most serious health problems associated with childbirth. Cerebral palsy is often a result of medical malpractice and birth injuries during childbirth and is believed to be caused by a lack of oxygen to the infant’s brain during labor. Cerebral palsy has lifelong consequences on infants and their parents, including a variety of related health issues. Cerebral palsy is a term used to describe a variety of neurological disorders that restrict body movement and affect muscle coordination. Some cases of cerebral palsy are not caused by medical malpractice, but most children with the condition had it from birth. Cerebral palsy is considered a non-progressive or non-worsening health condition, so it cannot become more severe over time. The condition occurs in approximately one in every 1,000 births in the United States and Europe. Our Los Angeles birth injury lawyer who is knowledgeable in cerebral palsy may be able to help you file a successful claim if your child suffers from cerebral palsy. There are many potential causes of cerebral palsy developed at birth, including hypoxia and asphyxia. Hypoxia occurs when the brain is starved of oxygen, while asphyxia occurs when the body is starved of oxygen. These conditions may occur during a premature delivery or birth trauma. Medical mistakes during childbirth may lead to traumatic injury that results in cerebral palsy. While many hospitals and medical teams act with a high level of professional care during delivery, accidents still occur and have lifelong consequences. If you or your child developed cerebral palsy at birth, common medical mistakes such as the failure to detect infections in the mother during pregnancy may be to blame. Other mistakes include failure to properly monitor the fetal heartbeat, failure to notice and correct a prolapsed umbilical cord, failure to plan a cesarean section procedure when the infant is too large to pass safely through the birth canal, delay in performing a medically necessary caesarean section, and negligent or unreasonable mistakes. Unreasonable mistakes include using a vacuum and forceps during the delivery process. The three most common types of neurological disorders that fit under the cerebral palsy term include spastic, athetoid, and ataxic. Spastic cerebral palsy accounts for approximately 80 percent of all cerebral palsy cases. This form is characterized by stiffness and restricted movement due to tightness in one or more of the muscle groups. If you have spastic cerebral palsy, you may have difficulty changing positions or holding onto and releasing objects. Atheoid cerebral palsy is rarer, occurring in 10 percent of cerebral palsy cases. This form is characterized by involuntary movements, slurred speech patterns, difficulty swallowing, low muscle tone, and the inability to maintain correct posture. Ataxic cerebral palsy also accounts for 10 percent of cerebral palsy cases. Its symptoms include poor depth perception, an abnormal sense of balance, body tremors, and poor coordination with regard to muscle movements. It is important to work with a Los Angeles birth injury lawyer who understands the various forms and causes of cerebral palsy. Medical malpractices resulting from birth injuries that lead to cerebral palsy are often difficult to navigate. Most cases of cerebral palsy require highly technical treatment terms and methods, which can present complications in the litigation process. While cerebral palsy commonly results from medical negligence during labor, it can be difficult to make a successful claim for damages against a physician or hospital. A Los Angeles birth injury lawyer may be able to provide guidance when it comes to determining liability and asking for damages through a lawsuit. If someone you love has been affected by one of the three main types of cerebral palsy caused by birth injury, he or she may be dealing with lifelong physical impairments. 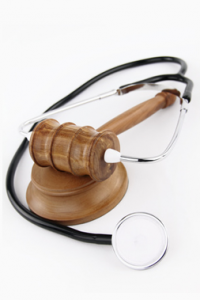 Filing a medical malpractice lawsuit may not only ensure that the medical professionals who acted negligently and caused such birth injuries are held liable for their actions, but provide compensation to seek further treatment as well. Contact Martin Stanley Law today at 310-399-2555 for more information on getting compensation for medical expenses, pain and suffering and lost earnings potential. The right Los Angeles birth injury lawyer may be able to provide you with the representation you need to file a successful medical malpractice lawsuit.